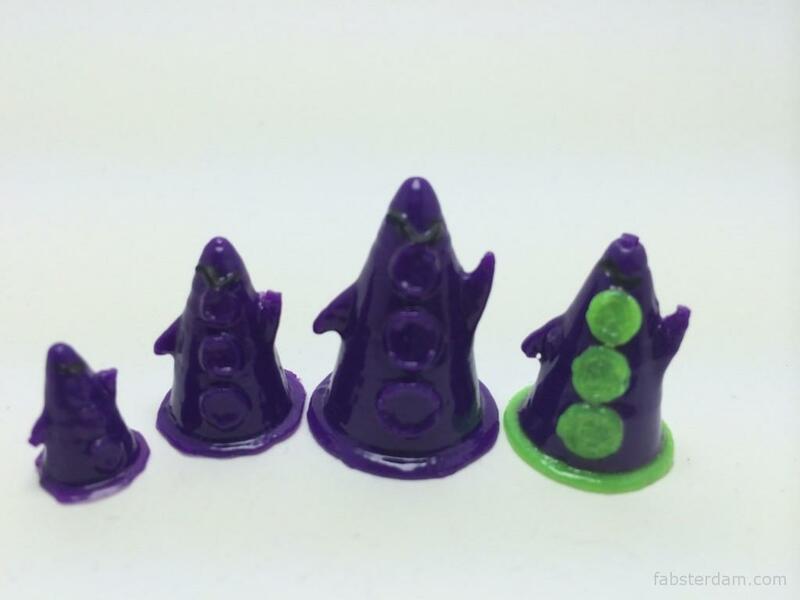 The purple tentacle model is about 7cm tall and the base is 5cm diameter and that’s too big for a card marker so he asked if we could do it about 1-2 cm base diameter. We were worried that with that much down-scaling we will lose too many details, so we decided to experiment on ways to do it just to see if it was even doable. The way we print that specific model is: we first print the purple body, then the green suckers and base and finally the black eyebrow. Then we glue all together with our ABS-glue mix and we give it an acetone bath to reinforce the pieces that have been glued, plus it gives it that smooth-tentacle look that we love. Example of the different printed parts. The purple body has some cracks but they could be fixed with some ABS-glue mix. This is one of our “discarded” prints anyway. 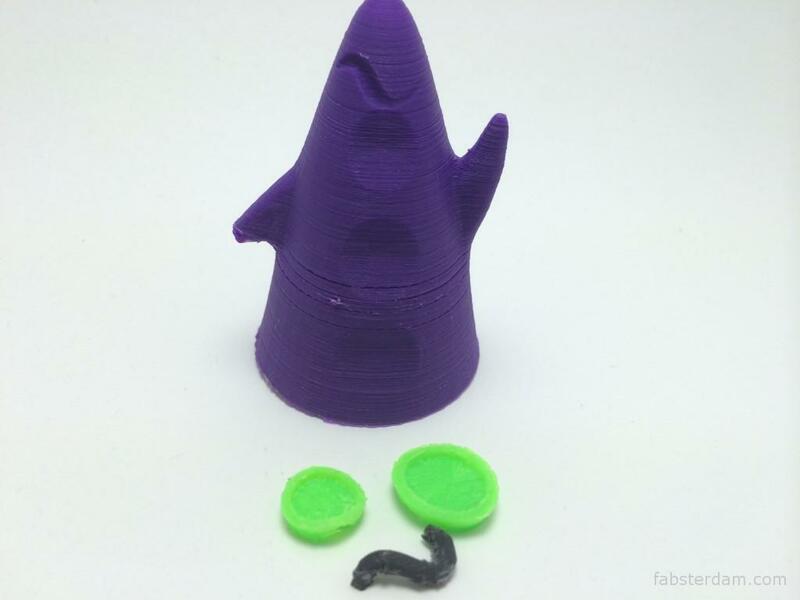 With such a tiny tentacle, we found impossible to print the eyebrow separately (as it was just a tiny black “blob”) so we decided to print it in the body and then paint it black. We though the suckers, that are printed in 2 halves and then joined together to make one circular sucker, will have the same issue as they are tiny (and very thin, just a couple of layers). But, as that is a separate print and the base is also bigger (no problem with it expected) we decided to give it a try and see how it looked. We printed 3 different models, so our customer could choose the ones that looked better: 2,5cm, 2cm and 1,5 cm base diameter ones. They all turned out to be AWESOME (and cute)! 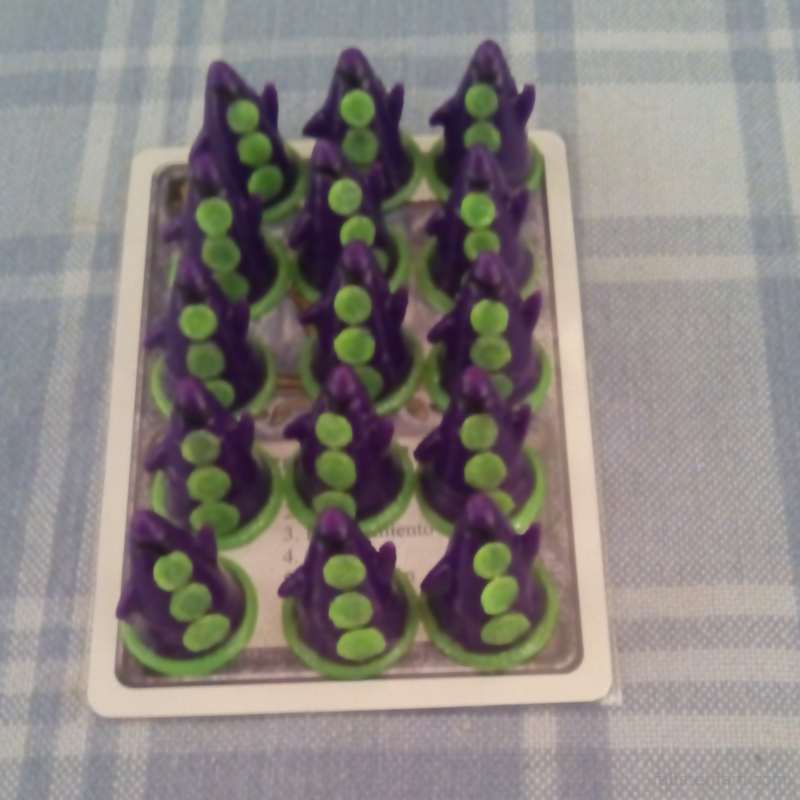 Here is a picture of the 15mini tentacles, with a big one just before we sent it to our customer. 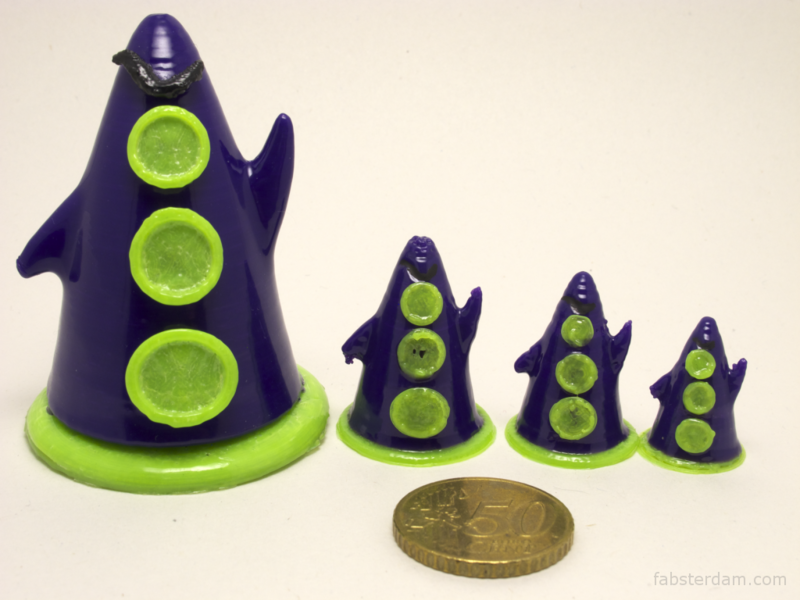 The purple tentacle family ready to ship!